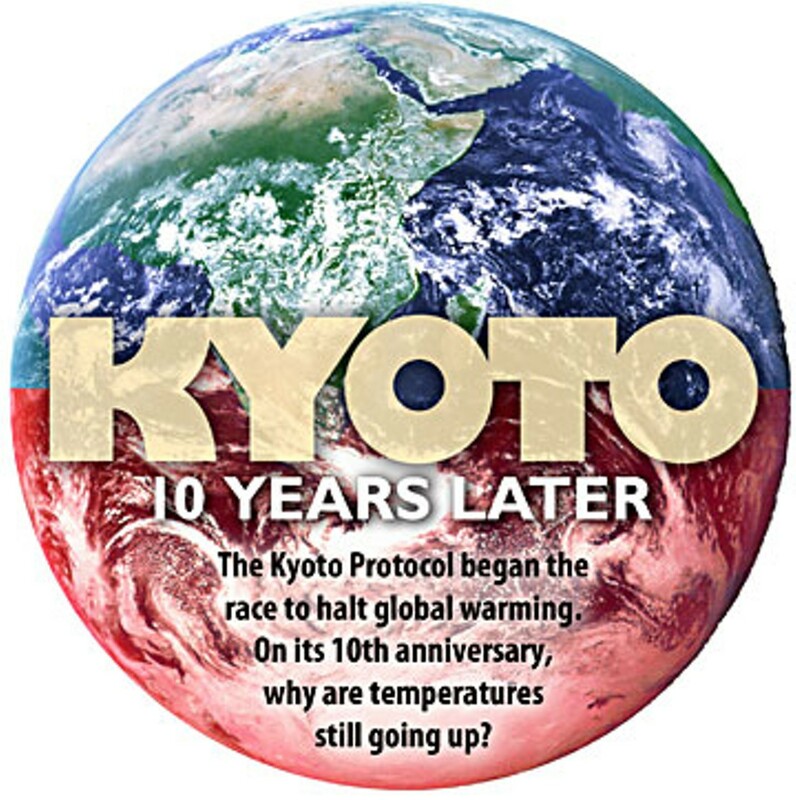 It's been 10 years since the Kyoto Accord was struck. I remember so well the final morning hours of the Kyoto conference. The negotiations had gone on long past their scheduled evening close, and the convention-center management was frantic — a trade show for children's clothing was about to begin, and every corner of the vast hall still was littered with the carcasses of the sleeping diplomats who had gathered in Japan to draw up a first-ever global treaty to curb greenhouse-gas emissions. But when word finally came that an agreement had been reached, people roused themselves with real enthusiasm — lots of backslapping and hugs. A long decade after the first powerful warnings had sounded, it seemed that humans were finally rising to the greatest challenge we'd ever faced. The only long face in the hall belonged to William O'Keefe, chairman of the Global Climate Coalition, otherwise known as the American coal, oil and car lobby. He'd spent the week coordinating the resistance — working with Arab delegates and Russian industrialists to sabotage the emerging plan. And he'd failed. "It's in free fall now," he said, stricken. But then he straightened his shoulders and said, "I can't wait to get back to Washington where we can get things under control." In that span of time, we've come to understand that not only is the globe warming, but also that we'd dramatically underestimated the speed and the size of that warming. By now, the data from the planet outstrips the scientific prediction on an almost daily basis. Earlier this fall, for instance, the melt of Arctic sea ice beat the old record. Beat it in mid-August, and then the ice kept melting for six more weeks, losing an area the size of California every week. "Arctic Melt Unnerves the Experts," the headline in The New York Times reported. And they were shaken by rapid changes in tundra-permafrost systems, not to mention rain-forest systems, temperate-soil carbon-sequestration systems, oceanic-acidity systems. On the domestic front, the numbers look like this: We've got to commit to reductions in carbon emissions of 80 percent by 2050, and we've got to get those cuts underway fast — 10 percent in just the next few years. Markets will help — if we send them the information that carbon carries a cost. Only government can do that. Internationally, the task is even steeper. The Kyoto Accord, which we ignored, expires in a couple of years. Negotiations begin this month in Bali to strike a new deal, and it's likely to be the last bite at the apple we'll get — miss this chance and the climate likely spirals out of control. 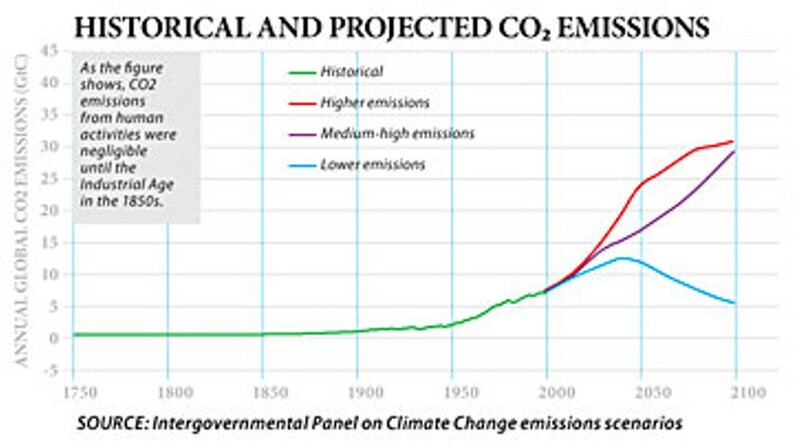 We have a number here, too: 450, as in parts-per-million carbon dioxide. It's the absolute upper limit on what we can pour into the atmosphere, and it will take a heroic effort to keep from exceeding it. This is a big change — even 10 years ago, we thought the safe level might be 550. But the data is so clear: The Earth is far more finely balanced than we thought, and our peril much greater. 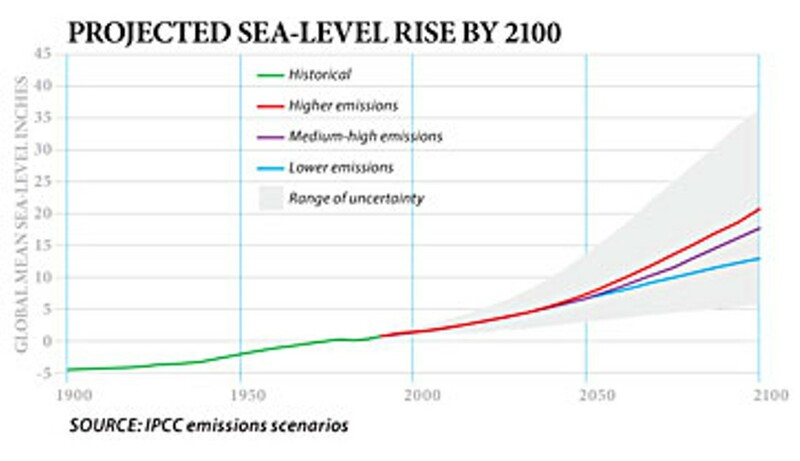 Our foremost climate scientist, NASA's James Hansen, testified under oath in a courtroom last year that if we didn't stop short of that 450 red line, we could see the sea level rise 20 feet before the century was out. That's civilization-challenging. That's a carbon summer to match any nuclear winter that anyone ever dreamed about. Bill McKibben, a scholar in residence at Middlebury College, is an author and environmentalist who frequently writes about global warming. McKibben's essay was commissioned by the Association of Alternative Newsweeklies. Approximately 30 AAN member papers will be publishing the essay this week. See also 'The view from Kyoto,' 'Mr. Van Eck's Forest' and 'The California experiment' in this edition.